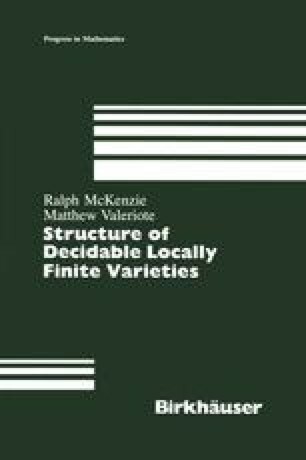 We continue to work with a fixed locally finite variety V that is structured. Recall from Definition 1.1 that S3 is the class of finite subdirectly irreducible algebras in V with type 3 monolith, and that V3 is the variety generated by S3. This chapter is devoted to a proof of the theorem below, which is one of the two principal results in Part I. A good portion of the proof of this theorem has already been given in Chapter 3.